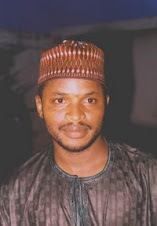 When on January 6, 2007 I wrote about Keith Ellison, the first American Muslim to be elected member of the U.S. House of Representatives, an angry Nigerian reader wrote back to tell me that I had misled my readers. 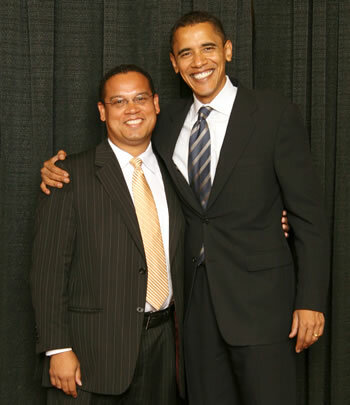 He protested that Mr. Ellison, who is also African-American, wasn’t a “real Muslim.” What kind of Muslim, he said, would be endorsed, supported, and campaigned for by Jews and homosexuals? This alliance of the oppressed and sympathizers of the oppressed can be confusing to first-timers in America—or to casual observers of American politics. In moral and cultural politics, white conservative Christians actually share a lot in common with conservative Muslims. For instance, both groups are united in their common resentment against homosexuality, Jews, abortion, and the radical versions of women liberation. But it’s also the case that in America’s domestic politics, cultural conservatives, who predominate in the Republican Party, define themselves and are defined by their hatred of and contempt for anybody who isn’t WASPish. And that includes conservative Muslims who would have been solid allies in conservative white Christian Americans' “culture wars” with liberal Americans. In 2000, George Bush, a conservative Republican who campaigned on the platform of “culture war” issues like gay marriage, which appealed to the cultural sensibilities of conservative Muslims, won more than 70 percent of the American Muslim vote. Some analysts say the percentage was actually 90 percent. 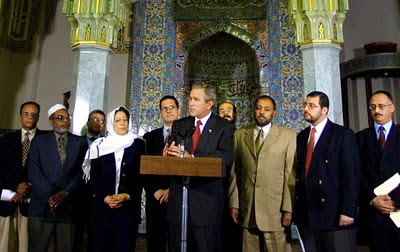 This massive Muslim support for Bush led conservative commentator Grover Norquist to proclaim in a 2001 American Spectator article that "Bush was elected President of the United States of America because of the Muslim vote." Suhail Khan, an American Muslim commentator, went so far as to declare Bush “America’s first Muslim president” in a recent article in the influential Foreign Policy magazine. American Muslims, who had just come of age politically in 2000, would later realize that they were naïve. Concordance of emotive cultural beliefs with a group, they later found out, isn’t a sufficient basis for an enduring political alliance with that group, especially in America. Since the 1960s, the Republican Party has turned itself into a sanctuary for hate-filled conservatives of all hues. And the one thing that defines American cultural conservatism, as I pointed out earlier, is its visceral, deep-seated hate for and alienation of people who aren’t white male heterosexual Christians. That, of course, means that blacks, Hispanics, women, Jews, Muslims, and gays are not welcome in the Republican Party. Now, consider the fact that some of the greatest and most vociferous defenders of the right of American Muslims to build the so-called “ground-zero mosque” in New York are Jews. Michael Bloomberg, New York Mayor and America’s 8th richest person, not only vigorously and uncompromisingly supports the “ground-zero mosque,” he also says its opponents should be "ashamed of themselves," And he is a practicing Jew. In fact, a prominent pro-Israeli lobby group called J Street collected over 10,000 signatures in support of the “mosque,” which it delivered to New York’s Landmarks Preservation Commission. “Appalled by the opposition to plans by American Muslims to build a community center in lower Manhattan modeled after Jewish Community Centers all over the country, J Street is collecting petitions in support of religious freedom and against anti-Muslim bigotry,” the group announced on its Web site. 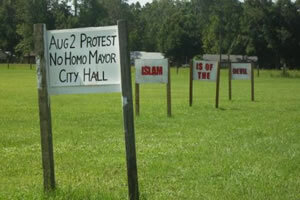 It also unequivocally condemned Pastor Jones’ planned Qur’an burning. So, although in international and religious politics, Jews and Muslims are supposed to be sworn enemies, they are forced to align in America. Note, too, that Jews were at the forefront of the civil rights struggles for black people here in America and that although African Americans can be some of the most devoted Christians you can ever meet anywhere, they are also about the most tolerant group to Muslims that I’ve ever encountered. Perhaps these groups are only exteriorizing the empathy they have come to develop for unjustly suppressed peoples from their own histories of brutal oppression on account of their identities. So, in general, liberal politics in America encompasses every historically disadvantaged group. That’s why Jews, blacks, women, gays, and now American Muslims tend to be liberal. It’s in liberal circles that they find acceptance and comfort, although the individual cultural and religious beliefs of people in this alliance may be diametrically opposed. Call it unity in adversity, if you like. Nothing in what I am saying by any means suggests that every Jew, black, woman, gay, and Muslim in America is liberal. Or that every white heterosexual Christian male is conservative. Or even that every conservative American is a hater. There are virulently anti-Muslim, anti-black, and anti-gay Jews, for instance. Characters like David Horowitz and Connecticut Senator Joe Lieberman immediately come to mind here. A traditionally liberal Jewish group called the Anti-Defamation League sent tongues wagging here when it opposed the “ground-zero mosque.” And there are black conservatives, tolerant conservatives, racist “liberals,” etc. But they stand out like sore thumbs precisely because they displace the norm. It’s noteworthy, too, that there are many white heterosexual Christian males who are liberals. In fact, the bulk of liberals in America come from this demographic category. But they are different from their conservative counterparts because their politics is animated by the ideals of tolerance, inclusion, and empathy for and defense of the weak and the vulnerable. So it’s the same sentiment that drives a liberal American to fiercely defend Muslims that also drives him to defend gays and Jews and women and Hispanics. When you are aware of this, you tend to also learn to respect and defend the differences of others—or to strategically seek their alliance if only to defend your own self-interest. It’s all about self-preservation.